The Central Missouri Astronomical Association took over the weekly astronomy nights more than 15 years ago. “There are a few of us that are really interested in communicating with other people and it’s a recruiting tool for us. Occasionally, we get a new member,” Central Missouri Astronomical Association member Val Germann said. 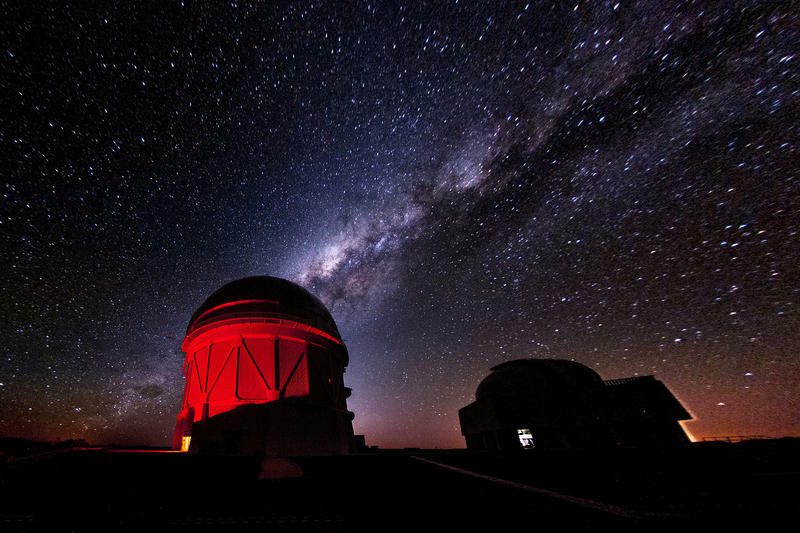 Germann began visiting the observatory in the late 70s. “We like talking to people about astronomy and it’s a couple of hours a week. We have some other times where we have to do maintenance and whatnot. So, for us it’s fun,” Germann said. Volunteers from the association give tours of the night sky and its constellations to astronomy students looking for a little extra credit, but other students are there without the motivation of additional points. MU student Luke Schroeder studies hospitality management, but maintains an interest in the stars thanks to his father. “My dad actually taught me a lot about the stars and everything when we used to go camping and I wanted to learn a little bit more about the official names and titles of all these cool constellations. Space has always been that one spectacle no one quite knows about quite yet and I think it’s something that everyone, at least at a time always wonders about,” Schroeder said. Inside the observatory, NASA’s online radio station plays over the loudspeakers while volunteer and Central Missouri Astronomical Association member Randall Durk moves the giant telescope in the room. Durk has been a member of the association since 1997 and has volunteered at Laws Observatory for years. “It’s something, actually, the club has been doing for quite a while and I just started coming up and hanging out. I always say if you volunteer, volunteer and do something that you like. That way you don’t have to worry about getting paid,” Durk said. After Durk enters new coordinates, the telescope noisily rotates to its new position, giving visitors an even closer look at a new constellation or planet. Many climb the ladder and peer into the telescope to see the new subject: a close up of the moon. Columbia College student Dakota Crider visited the observatory with a friend who took an astronomy class at MU. Crider studies history, but believes astronomy and history have a lot in common. “For thousands of years, people studied astronomy just so they could use it as a calendar for everything. People’s lives used to revolve around it and we’ve gotten distant from it and it’s just one of those things we’re disconnected from,” Crider said. 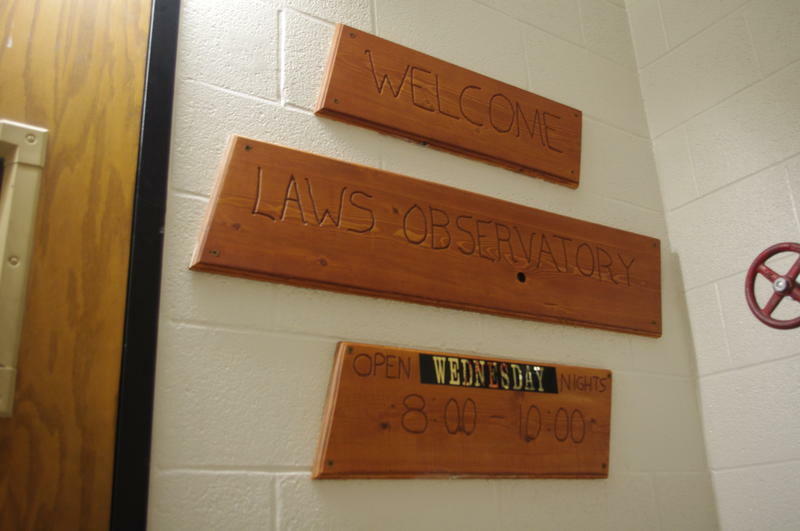 Durk hopes the weekly nights at Laws Observatory will influence and maybe inspire future astronauts. “I’m just hoping one day, somebody will be on Mars and they’ll ask ‘What made you want to become an astronaut?’ and they’ll say ‘Well, I was at Laws Observatory one night and this guy was showing me Saturn or Mars.’ I can say I made a difference,” Durk said. "Planet X is kind of a catchall name given to any speculation about an unseen companion orbiting the sun," says Kevin Luhman, an astronomer at Penn State University.